Spent 3 seasons at Clarence Park before moving to Hendon. Began his professional career with Luton Town. He signed for the Hatters from Hendon, in December 1988, and made 53 league appearances (plus 13 as a sub), scoring 16 goals. He played five games for Fulham, on loan in 1989, but signed for West Ham United in March 1991. 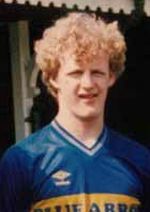 Dowie only played in 12 league games during his first short spell with The Hammers, scoring four times, before signing for Southampton, where he spent nearly three-and-a-half years and made 115 (plus seven as sub) appearances, notching 30 league goals for The Saints. He returned to London with Crystal Palace in January 1995, as they attempted to preserve their Premiership status, but left the club the following season to rejoin West Ham and return to the top flight after The Eagles relegation. He played 58 further league games for the Upton Park club (plus another 10 as sub), and scored another eight goals, before signing for Queens Park Rangers, where he played out his career. 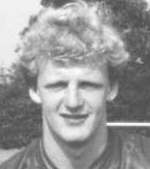 Dowie actually played for, and managed, QPRs reserves in the final two seasons of his career, mainly as a centre-back, as he helped to encourage the development of some of the young players coming through at Loftus Road. He was capped 59 times by Northern Ireland, as well as earning one cap at Under-21 and Under-23 levels.